Pupils at Kilwinning Academy taking part in the Innovative Schools Project have launched a Credit Union, providing savings and loan facilities to the local community. The Innovative Schools project is a partnership between Developing Young Workforce (DYW) Ayrshire and The Prince’s Trust Scotland, and encourages school students to get involved in innovative activities which will help them develop employability skills. Kilwinning Academy Access Point is the 60th project funded by the partnership and the first time the secondary school has taken part. The venture was conceived as a response to the closure of the town’s high street banks and will allow 1st Alliance Ayrshire Credit Union to have a facility within the school for pupils, their families and local residents to use. On Friday 1st March, North Ayrshire Provost Ian Clarkson and Leader of North Ayrshire Council, Joe Culinnane, joined the pupils, DYW, The Prince’s Trust and 1st Alliance Ayrshire to officially open the Access Point. Also in attendance were Sam Linton, Performance Advisor Inspiring Scotland (CashBack for Communities Programme), Nicola Craig Senior Engagement Manager, DYW Employer Engagement Team, David Ross, Regional Manager, South Scotland, Business Development, SQA, and Carol Nisbet, Director of Schools, Essential Skills and Widening Access, Ayrshire College – who will be delivering customer service and counselling skills to the young people participating in the access point. The students will work alongside 1st Alliance to develop their employability skills, financial knowledge and develop community links. They group will also be working towards qualifications in Customer Service, Literacy and Numeracy, Mind-Set, Volunteering and Development. We are proud to be associated with this extremely innovative project which will develop both important financial skills and the soft skills that potential employers are looking for in young people including communication, commitment, customer services and courtesy. 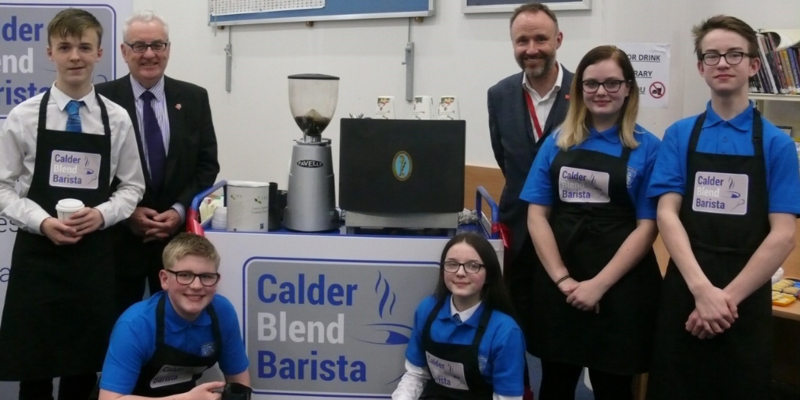 We are absolutely delighted to support this first of its kind school project and are very impressed by the way the project has been implemented with the full involvement of the young people. The Innovative Schools Project is designed for young people at risk of leaving school without achieving five subjects at National 5 and aims to address the issue of low confidence by assisting with the development of a set of core soft skills. Jointly funded by DYW Ayrshire and The Prince’s Trust, through its Cashback for Communities Development Awards, since its inception it has supported 900 young people. 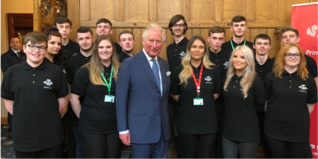 HRH The Prince of Wales met young people in Wigan today who are turning their lives around with help from his charity, The Prince’s Trust.